While living in Hong Kong for work, these two charming native New Yorkers lovers travelled all the way back to the concrete jungle, to declare their love to the world. 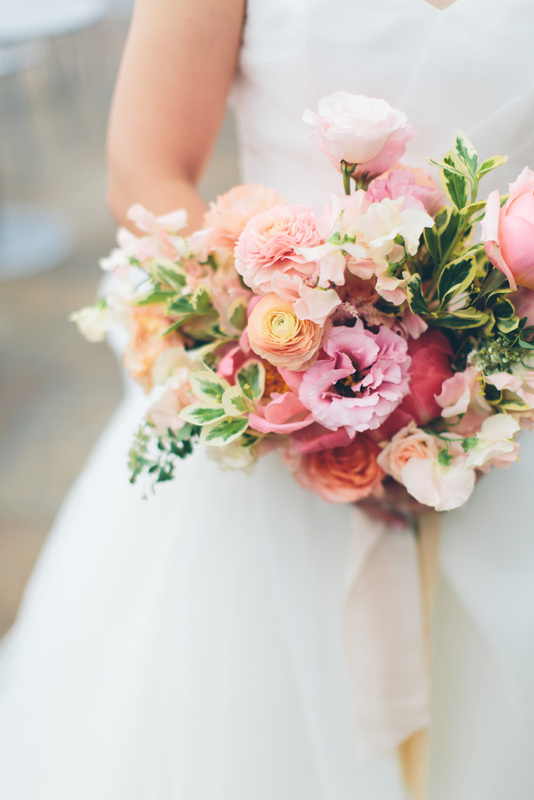 Annie amazingly planned this timeless, perfect New York City wedding all the way across the world from Hong Kong! 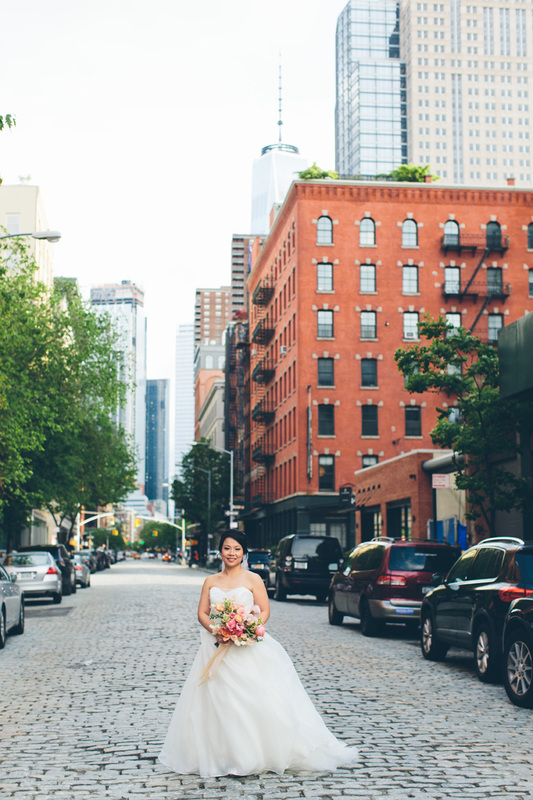 In the strikingly stunning Tribeca Rooftop, wedding bells were ringing for this beautiful couple. Despite the intermittent rainy weather, the rooftop at this venue was perfect for letting the bridal party have shelter when needed, and quickly grab flawless shots in the clear moments. Annie & Roberto blissfully celebrated the night away, surrounded by their loved ones, underneath the star-filled skylight. 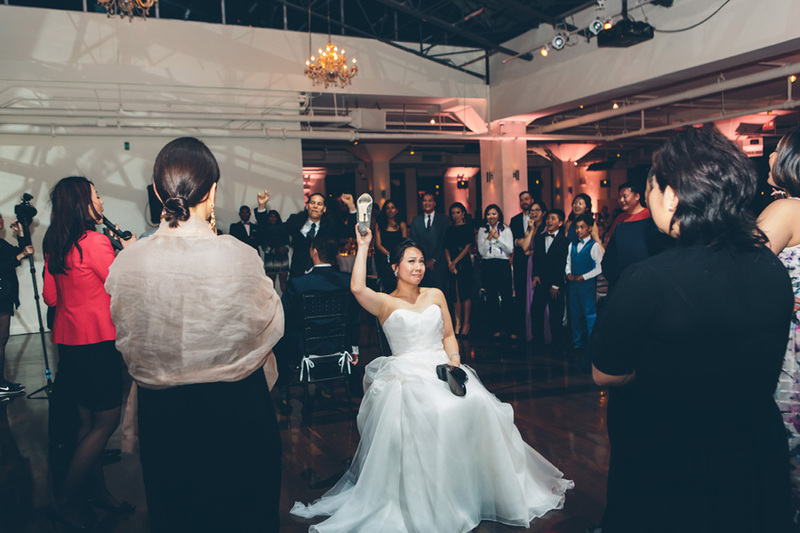 Cheers were heard all around the night for this newly wedded husband and wife! 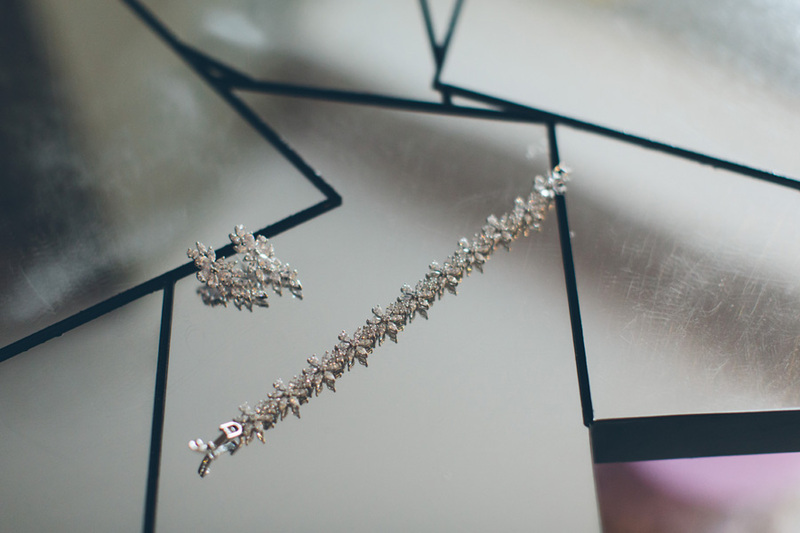 Another amazing night to affirm that I love being a New York City wedding photographer!